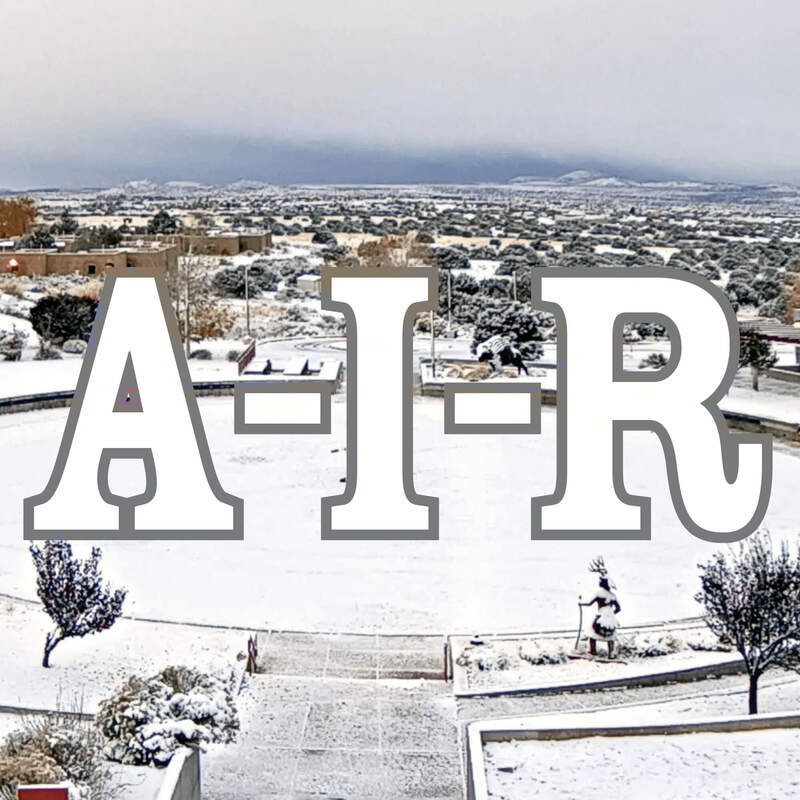 Please join our current IAIA Artist-in-Residence (A-i-R) artists Ka’ila Farrell-Smith and Anthony Lovato for an open studio session on Wednesday, April 12, 2017 from 3–5 pm, in the jewelry and A-i-R studios in the Academic Building. Free and open to the public—refreshments served at each studio. 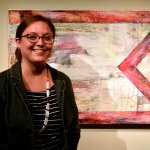 Ka’ila Farrell-Smith (Klamath/Modoc) is focused on channeling research into a creative flow of experimentation and artistic playfulness that is rooted in Indigenous aesthetics and abstract formalism. Ka’ila is a contemporary Klamath and Modoc visual artist based in Portland, Oregon. She works as an art mentor and teacher and is a co-director for Signal Fire and One Flaming Arrow: Inter-tribal Art, Music, and Film Festival. Ka’ila was awarded a Ford Family Fellowship and a Regional Arts and Culture Council Professional Development grant to attend a 2015 Caldera Artist-In-Residence and a 2016 Djerassi Resident Artist Program. Ka’ila has also attended the Rainmaker Residency and Signal Fire’s Wide Open Studios. She has work in the permanent collection of the Portland Art Museum and has exhibited at the Archer Gallery, Vancouver City Hall, Washington History Museum, Museum of Northwest Art, Missoula Art Museum, and the Tacoma Art Museum. Ka’ila Farrell-Smith received a BFA from Pacific Northwest College of Art in 2004 and an MFA in Contemporary Art Practices Studio from Portland State University in 2014. Watch a short video segment from Oregon Public Broadcasting featuring Ka’ila Farrell-Smith. 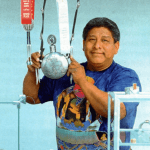 Anthony Lovato (Santo Domingo Pueblo) is the son of notable lapidary artist Mary Coriz Lovato and grandson of Santiago Leo Coriz. 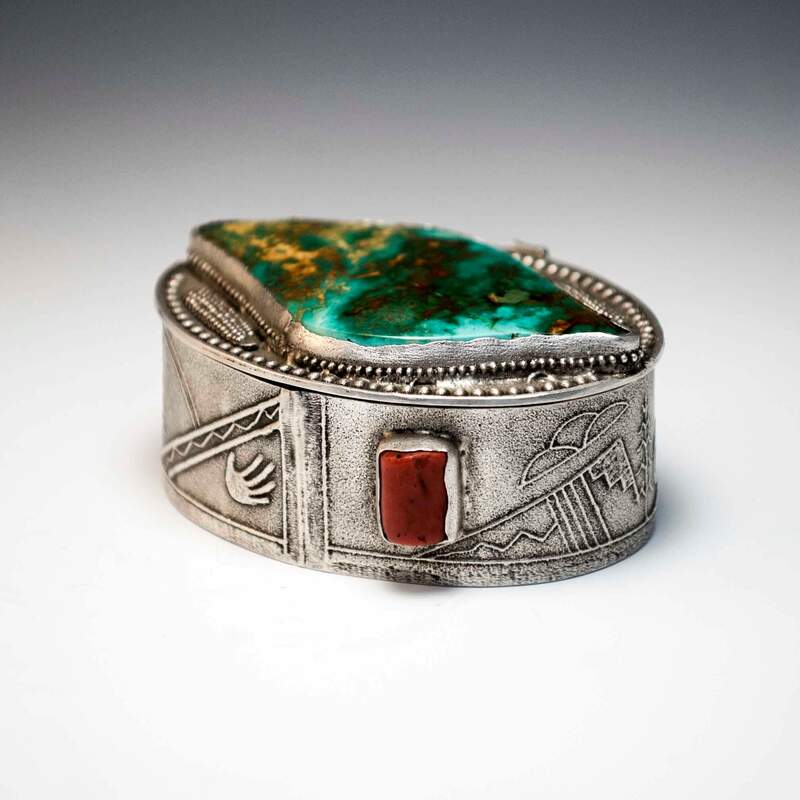 Lovato, fifth-generation Pueblo of Santo Domingo, employs unique tufa-cast and fabricated jewelry that bridges both traditional and contemporary styles. It also conveys great presence, while reflecting his family’s creative legacy as well as Santo Domingo’s religious heritage. “I really come from a traditional jewelry family,” says Lovato. His mother, Mary, raised him and his four brothers to become accomplished silversmiths. Lovato also learned from his father, Sedelio F. Lovato, a metalworker who did both casting and inlay work. Most of his learning came from his grandfather, Santiago Leo Coriz, who was skilled in tufa-casting. Ka’ila Farrell-Smith and Anthony Lovato will be in residence March 30–April 28, 2017.